We support in all fields of Formwork and Scaffolding Technology. Find our locations below. By using the PERI Online Shop, you can order 24 hours, 7 days a week! Join us on an impressive journey through the eventful and interesting history of PERI. Advanced formwork and scaffolding products as well as fascinating buildings characterize the business development of the company. 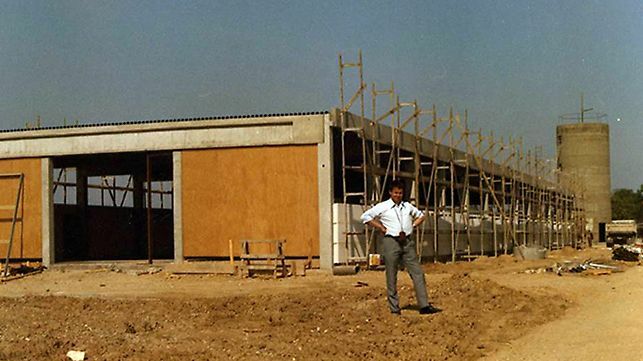 Artur Schwörer together with his wife, Christl, founded the PERI company.The goal of the enterprise is the rationalization of concrete construction. Construction work should be simpler, faster and safer. PERI is a Greek prefix and means "around". 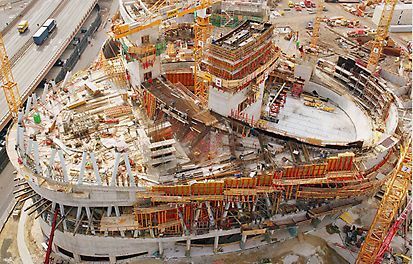 The formwork surrounds the concrete – the scaffolding surrounds the building. The first girder is produced, the PERI T70 is born. 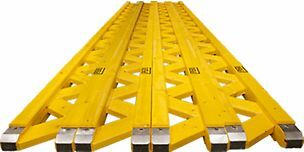 The first order comprises 80 girders with lengths of 3.05 m. The girders are impregnated by hand using a sponge over a plastic tub and then loaded directly onto the waiting truck. The annual output is approx. 50,000 linear metres. 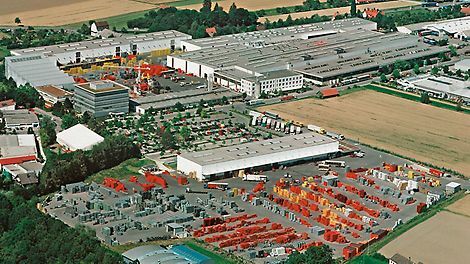 The production hall is built on the 6,000 m² company premises in Weissenhorn. 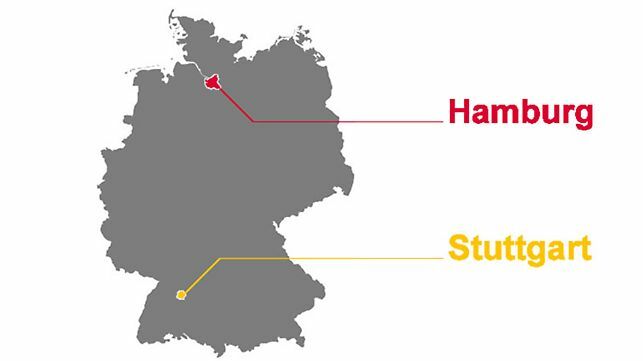 The world´s biggest twin vertical ship lift connects the Mittelland Canal and the River Elbe bridging a height difference of 38 m.
The first branches are opened in Hamburg and Stuttgart. 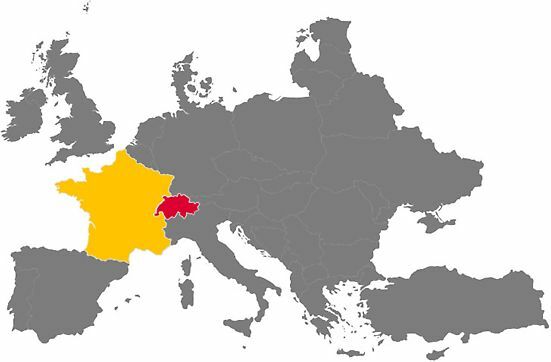 The first subsidiaries are founded in Switzerland and France. The first subsidiary outside the european continent. 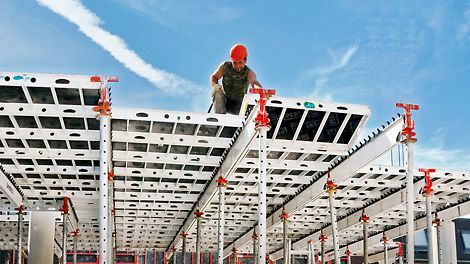 As a further development of the T-70 V with its 36 cm height, the new GT 24 wooden lattice girder provides more flexibility on the construction site through 12 cm less overall height but with the same dimensional stability. 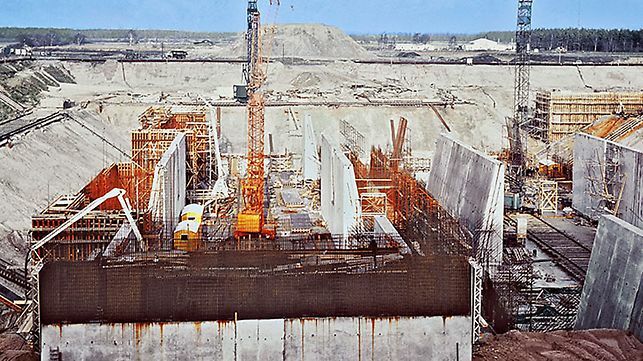 The mobile SKS single-sided climbing formwork begins its international success story with the construction of the third largest dam in the world. 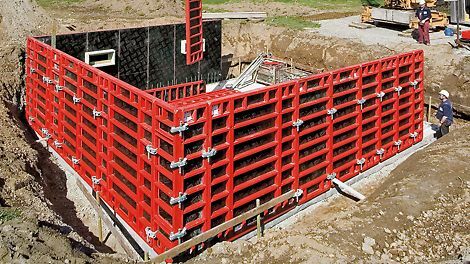 The universal wall formwork system is characterized by having few different individual components resulting in faster forming operations. 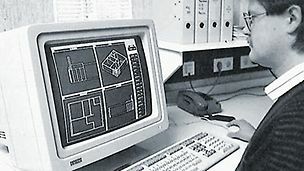 A few years later TRIO became the market-leading system. PERI introduces the ACS self-climbing system. 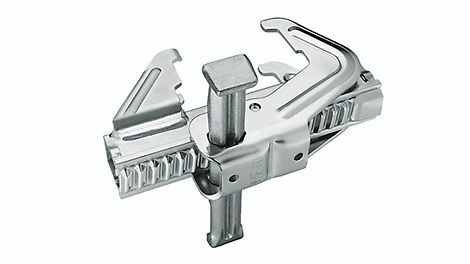 Climbing takes place with the hydraulic climbing mechanism without the use of a crane. Well-designed working platforms protect site personnel during all weathers. 73 modern CAD work stations replace the drawing boards in Weissenhorn. 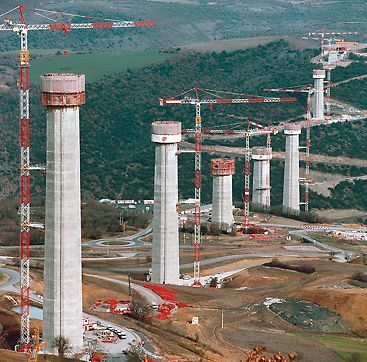 At the 1992 bauma, PERI presents innovations made ​​of aluminum - SKYDECK slab formwork and MULTIPROP post shores. Low weight, high load-bearing capacity, integrated measuring tape and the self-cleaning thread explain the rapid success of MULTIPROP around the world. 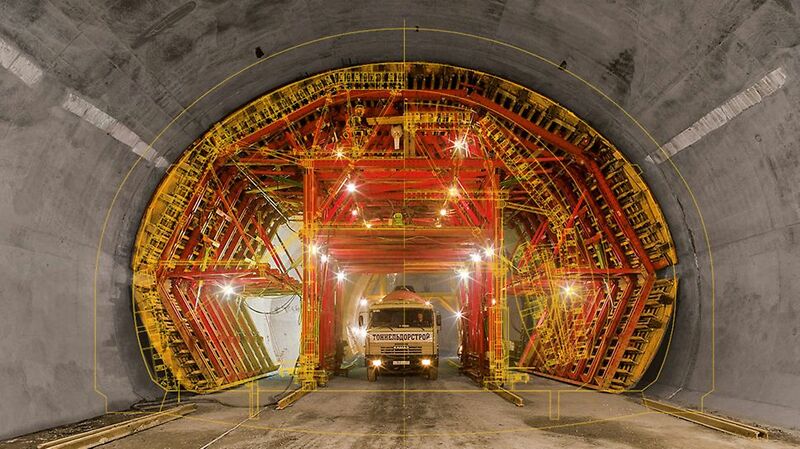 A purpose-built field factory produces the tunnel segments in a dry dock. The individual tunnel elements are towed out to the open sea using pontoons and then sunk to their designated positions on the seabed. 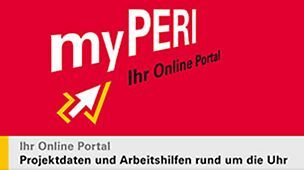 PERI has 13 branch offices in Germany and 22 subsidiaries around the world. The product portfolio includes more than 2000 products. 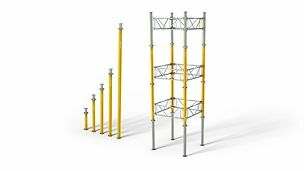 With the development of the PERI UP scaffold system, PERI begins its activities in the scaffolding market. 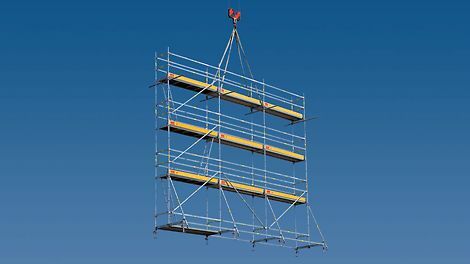 The PERI UP T 72 facade scaffolding with T-frame and guardrail in advance is safe and cost-effective. During construction of the at that time highes buidling of the world with 452 m, the use of the ACS self-climbing system ensures smooth and problem-free construction progress. With the Quadragon, an ultra-modern office building for the PERI staff in Weißenhorn is realized. The horizontal arrow symbolizes the increasing market presence and the growing number of satisfied customers. The vertical arrow stands for the improvement in quality of all PERI services. 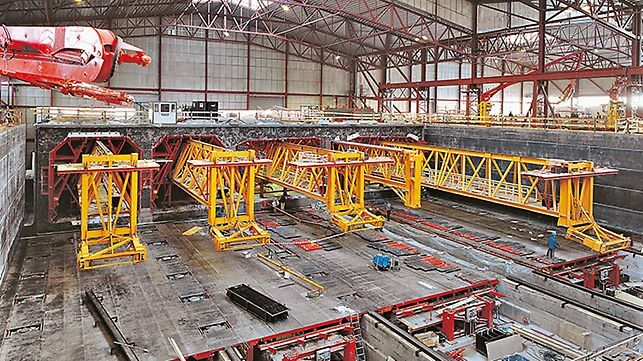 20,000 linear metres of girders are produced per day. The 2.5 km long cable-stayed bridge is constructed using special steel formwork, which rose steadily upwards cycle-by-cycle with the help of the ACS self-climbing system. 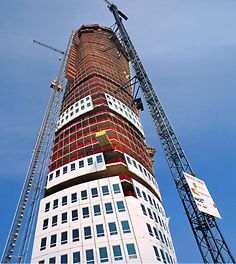 Due to its torsion-like architecture, the 190 m high office and residential complex requires a particularly efficient formwork concept with ACS climbing units. 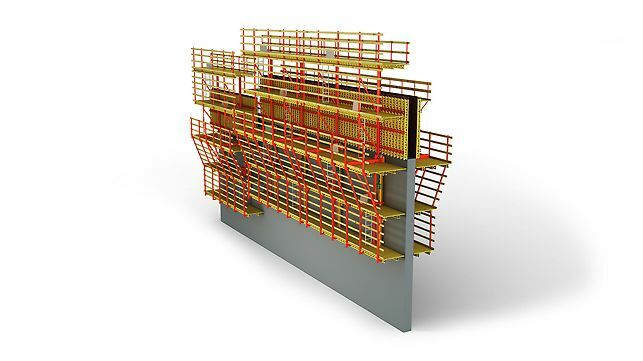 The pilot project for serial manufactured 3D formwork units sets new standards in formwork technology. 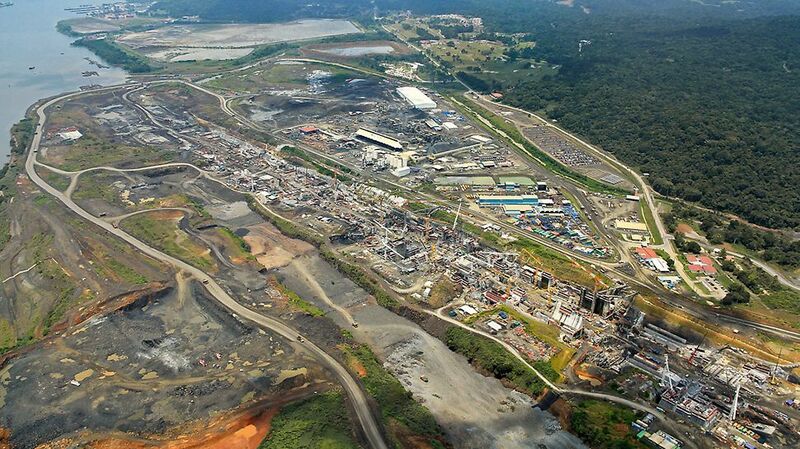 PERI expands the production area by 80% and doubles the size of the logistics and delivery facilities. Altogether, PERI invests approx. 80 million euros in Weissenhorn. 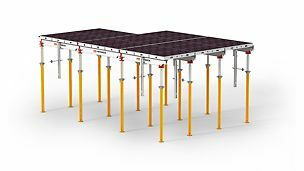 For load combinations in tunnel, bridge and building construction, PERI provides for the first time a construction kit consisting of standardized, rentable system components and connecting means. Management Board 2007 - Company's founder Artur Schwörer (deceased 2009) with his sons Alexander and Christian. The biomass power plant at the central production site in Weissenhorn is a symbol of combined economic and ecological sustainability at PERI. With a length of 1.455 km and the impressive width of 60 m, the Sheikh Khalifa Bridge connects the mainland of Abu Dhabi with Saadiyat Island. Thanks to SKYDECK and ACS, the gigantic residential and hotel complex is completed in record time. 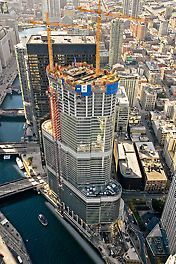 The result is the tallest reinforced concrete building in the Americas. 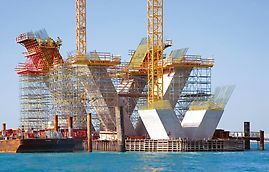 The new construction of the giant lock facilities on the Atlantic and Pacific coasts respectively is the largest single order in the company's history. PERI is the first formwork and scaffolding manufacturer to offer its customers direct access to the required information. All project documentation is available online at any time.